BOSTON – September 12, 2016 – Velcro Companies today announced that Wagner’s – one of the largest and oldest wild bird food manufacturers in America – now features VELCRO® Brand PRESS-LOK® closures on select packaging. The tactile, audible, easy-to-use re-closure is ideal for wild bird food and other granular products as it immediately assures customers that the package is securely closed and the contents are contained. VELCRO® Brand’s PRESS-LOK® solution is integrated into several of Wagner’s most popular offerings including its Greatest Variety, Nyjer Seed, Cardinal Blend, Songbird Supreme, Safflower and Mealworms stand-up pouch bags. incorporate the PRESS-LOK® closure into the Wagner’s stand-up bag design. Based on initial, positive market reaction to the packaging, Wagner’s is implementing the PRESS-LOK® closure into additional products early next year. For more information about VELCRO® Brand’s PRESS-LOK® closure, please visit: https://www.velcro.com/press-lok. Velcro Companies is a technology-driven, global organization providing fastening solutions that solve problems in simple, elegant and surprising ways for businesses and consumers around the world. We have a heritage of innovation spanning more than 50 years and own over 400 active patents and numerous trademarks, including the VELCRO® trademark, which is registered throughout the world. We develop and deliver solutions for customers through an integrated production and service system that includes manufacturing locations in the United States, Canada, Mexico, Spain, China, Belgium and Uruguay and sales offices around the world. To buy genuine VELCRO® brand products and to find out more about our company, visit www.velcro.com. 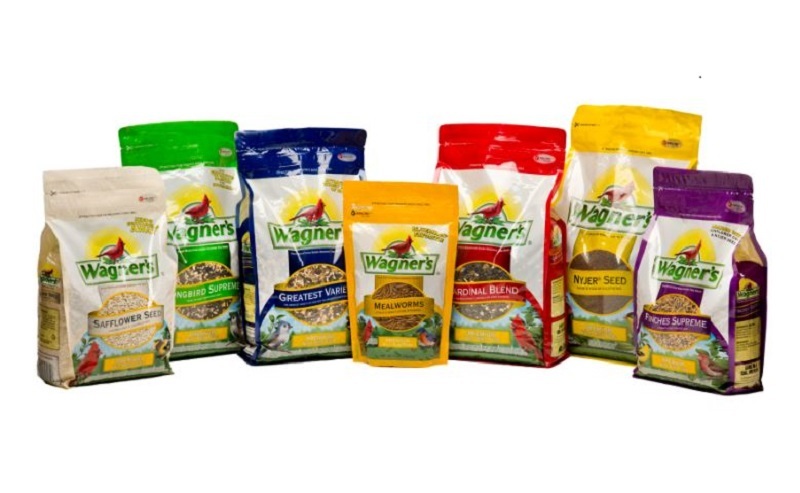 Wagner’s, an American company founded in 1894, boasts a rich history as an industry leader in producing and selling premium wild bird food products. Wagner’s is one of the oldest and largest wild bird food companies in the United States, with a premier reputation in the industry. Wagner’s is well known for its high quality products and superior customer service provided over its 120+ year history of serving the wild bird feeding community. For more information visitwww.wagners.com. Note to Editors: At Velcro Companies, we are proud that VELCRO® brand products have become a part of everyday life, but that ubiquity sometimes produces confusion. The VELCRO® trademark should be used only when referring to genuine VELCRO® brand fasteners. Non-VELCRO® brand products should be identified by their functional terms, such as “hook and loop,” “self-adhesive straps,” and so forth. The VELCRO® mark should always be used as an adjective and never as a noun or a verb. The term “Velcro Companies” should be used when referring to our company and its executives.